Who here can admit that their guilty pleasure is watching Gossip Girl? I know I do. And I've watched the series from the first episode and down to the very last one. The finale wraps up with two weddings. And although we already kinda knew that Blair & Chuck would get married for sure, it was a surprise that Serena and Lonely Boy did too. But it doesn't end there. Both queen bees donned rebellious gowns and had rebellious weddings to top it off and that was even more unexpected! I love that Blair Waldorf ended up in a rebellious look. We both love the color blue and this would have been totally my choice too. 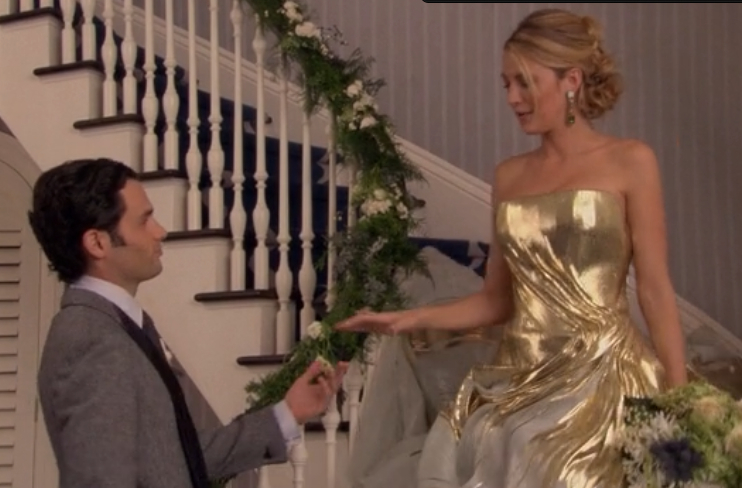 The best shocker though was when Serena and Dan got married intimately in a living room. Now THAT'S rebellious! 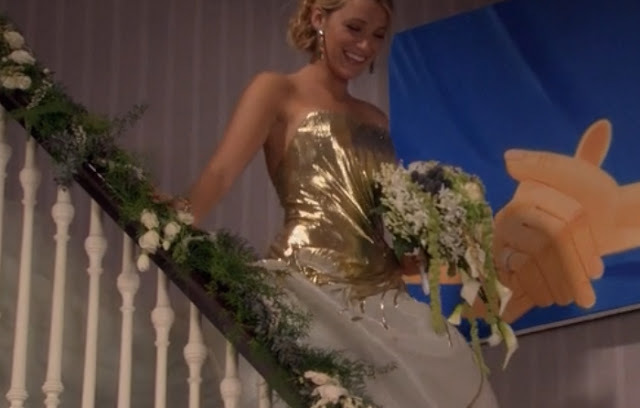 The golden gown is gorgeous..